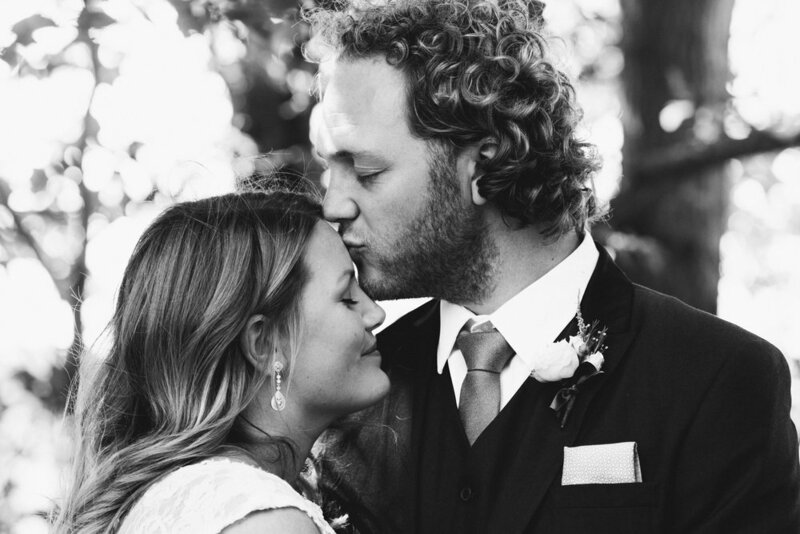 “I just want to say a huge thank you for being a part of our wedding. You are a pleasure, and now a friend. It’s been so lovely getting to know you over the last year, and by the wedding day came along we knew we were in very good hands! You were complimented highly by both our families! You are so calm but organised, friendly & approachable. “Firstly thank you so much for the truly incredible photographs that you have created for us. From first getting in touch with you enquiring about your services, to meeting you for our engagement shoot, we have aways been comfortable and confident in our decision to choose you as our photographer. 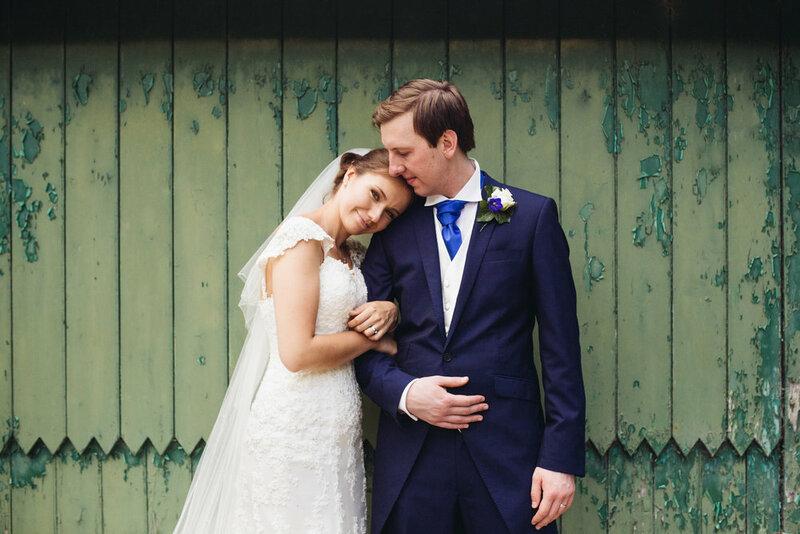 “Cat was the most stunning photographer we could have asked for on our wedding day. She and her second photographer captured every little look, every cute kid moment, every guest and every smile - especially the moments that passed us by in a whirlwind of a day. We ended up with the most stunning collection of images that we keep looking back on. I think (though she might hate me for saying this) I even caught her wiping a tear during our ceremony! “I’ve been looking at the photos pretty much all day today - and every time I find a new favourite! Thank you so, so much - we LOVE them! You have done such a wonderful job of catching the emotions on our day and there is so much warmth coming from the images. There is also so much variety so they’re so fun to look at, from candids to more portrait shots. “Thank you so much for our photos, they are everything that we hoped for and more! I love how you caught each detail perfectly, it was wonderful to re-live our day through your eyes. Each part of the day, from the preparations, to the ceremony, to the dancing, has been captured in such a soft, beautiful and artistic fashion. We’ve shared the photos with our parents and they’re absolutely blown away by how fantastic they are. “We are so so SO pleased with how the photos turned out. They are truly magical and a wonderful window for us to not only to remember the day but also see so many small details we totally missed! Thank you again for all the hard work, coordination, talent and patience that you poured into helping make our day a success. We had a wonderful time with you. "Thank you so, so much for shooting our wedding. The photos are just unbelievably gorgeous - I haven't stopped smiling for the past hour looking at them! You've captured the day SO perfectly. Literally everything that is stuck in our minds from the day is on film. They are just so stunning. You are seriously the best!!!" "Looking through our photos, we cannot stop grinning like kids! You captured everything in a way that seems like magic - we're reliving the day and can feel the energy leaping out of the pictures. You've captured everything perfectly, both visually and emotionally. We're so grateful you were responsible for capturing these memories!" "Thank you so much for capturing our day in such beautiful and spectacular style. We can't begin to tell you how much we love the photographs - I've had so many people comment on how beautiful they are. Thank you so much for giving us photographs as wonderful as the day itself." "Cat was by far our favourite out of a long list of photographers and we were thrilled she was available for our day! As for the photos, WOW! They are far more beautiful than we ever expected. We love them and can't wait to share them with nearest and dearest!" "Cat, you are amazing!! I am lost for words. I can't thank you enough and express just how thrilled I am at how well you have captured our special day. I am now going to spend the next week looking over and over and over at these fabulous pictures like a crazy lady. When I come back down from cloud nine I will be in touch regarding our album. Honestly, you rock!" "We loveeee them! They are so stunning. We can’t thank you enough and are pleased that we chose you as our photographer. You captured some great moments and we didn’t even know our picture was being taken. On so many of our photos we just said “wow” when we opened them! You captured everything perfectly." "Thank you so much for everything. You both felt more like wedding guests than photographers and we really appreciate everything you did on the day for us that was above and beyond! The photos are so beautiful and natural and have captured our day perfectly. We will recommend you to everyone!" "Firstly, thank you for the wonderful photographs. They have made us both laugh and cry! On the day you were enthusiastic, non-intrusive and captured some wonderful candid moments. You got that balance of making sure the best photos got taken whilst letting the wedding day simply flow. Thank you!" "First of all, a MASSIVE thanks for all the hard work you've put into our photos. We've been looking through them this morning and you have both done a stellar job in capturing the memories of the day! Felt as if we were reliving the day step-by-step. It was great to have you shoot our special day and we're definitely looking forward to catching up for a weekend brunch soon!" "Thank you so much, they are absolutely amazing and more than we had ever hoped for. We’ve been pretty busy showing off our fabulous photos over Christmas! I loved that you gave us some prints to show people straight away which we have of course been doing! Thanks again and I will be definitely be recommending you to anyone else that is looking for a photographer." "Cat was really relaxed and knew exactly the style we were going for. She captured the essence of the day perfectly, and got to work without us needing to give her a second thought. In the lead up to the big day, Cat’s communication was excellent and she was on top of our needs whilst our attention was just about everywhere else! Seamless!" "We just returned from our honeymoon last night so it was wonderful to wake up and look through all the pictures this morning! They are perfect! Thank you for all your hard work on the day - it's clear to see it all paid off. We can't wait to see the prints! Thanks once again for everything - you really went above and beyond all our expectations." "I'm not great with words so I can't express just how much we love the photos. Everything we wanted and such a beautifully curated collection as well. I think I might end up framing them all, and we really enjoyed your company at the wedding. Thank you so much again - I'll definitely recommend you to everyone I can." "We are really so so happy we had you by our side! The pictures look amazing, you really captured our wedding day in a discreet, delicate, beautiful way. I am so happy I could re-live that important day and this is such a wonderful gift you have given us. It was such a pleasure to have made a friend like you on our special day and we are incredibly happy with the result. I am just over the moon right now!" "Thank you so so much for being fantastic on the day, we thought you were brilliant. Any of our friends getting married will have you highly recommended! The extra pictures just go to show how caring and thoughtful you are. Things like that make my day." "Thank you so much for providing such professional, yet friendly photography for our special day. We did not feel awkward at all at any point, the process was totally relaxed and natural and you can tell this by the photographs. We couldn’t be happier and our photos really tell the story of our day from beginning to end. You really did our day justice through your photos!" 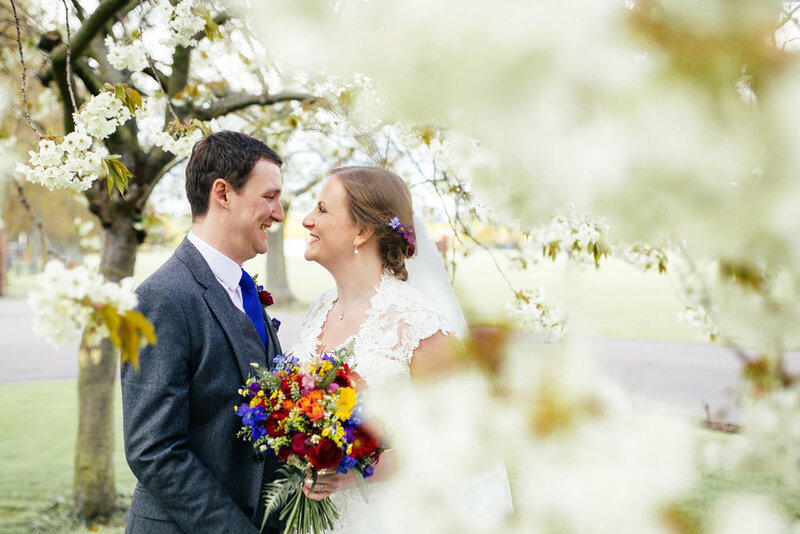 "I've finally got around to having a good look at our wedding photos and yet again I am blown away by the shots. I'm currently planning to decorate the entire house with pictures of our fabulous day! Once again thank you so much!" "They look amazing! Thank you both for all your hard work. We both said that we could not have hoped for two nicer people to enjoy those quieter moments of the day with - so thank you."